Cooper is the latest edition to our family. He arrived here on September 1, 2012 without knowing many commands, but he's very affectionate and is eager to please. 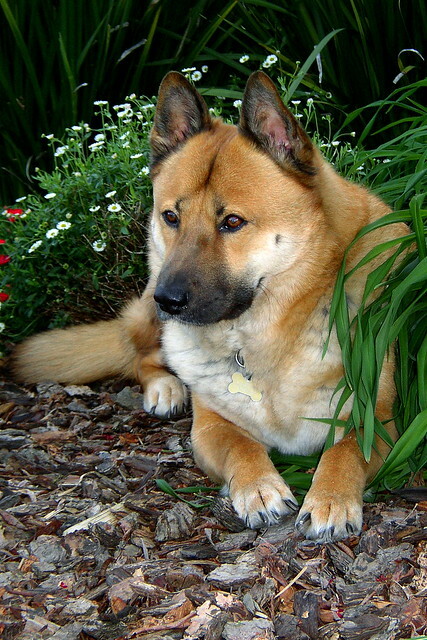 Red was our Jindo mix pet for almost ten years. We adopted him from Hopalong Animal Rescue in February 2003. Burgie was a champion Australian Shepard. We bought him from a breeder in in Pacheco in 1992 as 3 year old pup. When first introduced to us, he came and sat down before us with his warm grin. He was normally very shy because he had different colored eyes which people stared at. At bench shows he just turned around to face the wall. Beowulf was our first dog; a mutt, adopted as a puppy in 1980. We bought him for $15 out of a box at a pet store on Piedmont Avenue. Sylvia picked him up and didn't put him down, to the dismay of a little boy who had been eyeing him also. He was the runt of the litter. Copyright © 2019 meetThere.com. All Rights Reserved. Designed by JoomlArt.com. Joomla! is Free Software released under the GNU General Public License.